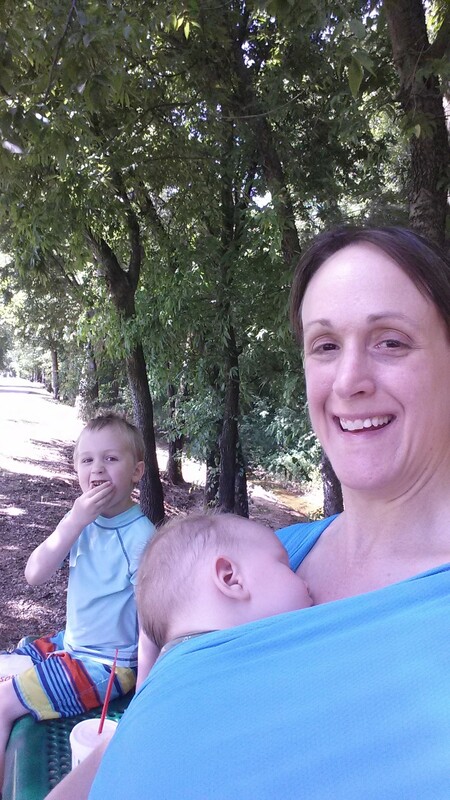 I’m a mom of two boys: one energetic four year-old, Forest, and one 10-month old, Rowan. I wanted an outlet for copious numbers of pictures and anecdotes about our children and about my wild life as a parent. The Harrah park had a nice trail with shady benches. Forest had a snack while Rowan napped in the K’tan with mommy.